Studio apartments and apartments with 1-2-3bedrooms are provided as your favour. Prices rank from 2500rmb to 7000rmb per month. All apartments are fully-furnished, including: kitchen, air conditioner, TV, refrigerator, washing machine, Internet service, etc. Some of these are brand new apartments. Cleaning service provided. All the facilities are cleaned and sanitized before your arrival. As for long-term living, cleaning and sanitizing are offered each week; undurable goods renewed. All these apartments are located in CBD of Guangzhou. Close to The Garden Hotel, CITIC Plaza, The Tianhe Mall, etc. 20%-50% cheaper than same-level hotel price. A single apartment costs only RMB150-2000 per day, with free laundry provided. Price will be lower if you rent for longer period. 24 hours security guard, absolutely safe to live. Very convenient traffic, close to bus stop and metro station. It takes less than 20 min to get to Canton Fair Pazhou Complex. GUEST77118 I am coming to Guangzhou on May 12 and staying till Jully 12th. I am looking for a one bedroom appartment in Tianhe. Since I will be working in this area I am hoping to find a location near the subway or bus stops. Please let me know if you have or know of any apartments for rent. My email address is yahoo.com|nqsands. Thank you for your time. I am looking for a nice 2-3 room appartment in guangzhou for the period of 28th January to 14th February with daily price not more than 200 yuan. GUEST15173 Hi, I want to rent apartment studio or 1 bedroom at wushan road near to South China Technology University so I can walk. For Sept 3 - Sept 9. budget not more than RMB 200. Tks. 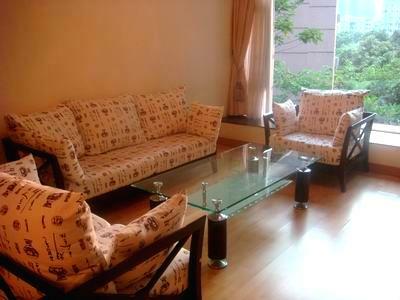 i am looking for an appartement near garden hotel guangzhou , 1 bedroom or studio . I need one room apartment in period 13TH of April till 12 of Mai 2012 for one person. I am doing real eatete jobs, our company have short term stay apartments can recommend to you, with nice & cozy. If you are interesting in it. Please email to me for more consultations. Our company lacate in Tianhe ,Guangzhou. Has gained well reputation among foreigners, we are real estate company especially for foreigners, so we well know of foreigners needs, and provide well after services and guide. Thanks kindly for your attention . Rent homes in service apartment. House for rent near the “liede” metro station. All apartments are well-equipped,brandnew,super modern, Short & long terms apartments for rent with high-quality facilities including: kitchen, air conditioner, TV, Internet access, refrigerator, washing machine, calorifier etc. There are convenience stores and various dining options a stroll from the apartments homes. The apartment homes are quite suitable for making business ,trips, especially Canton Fair, tour and holiday to Guangzhou.